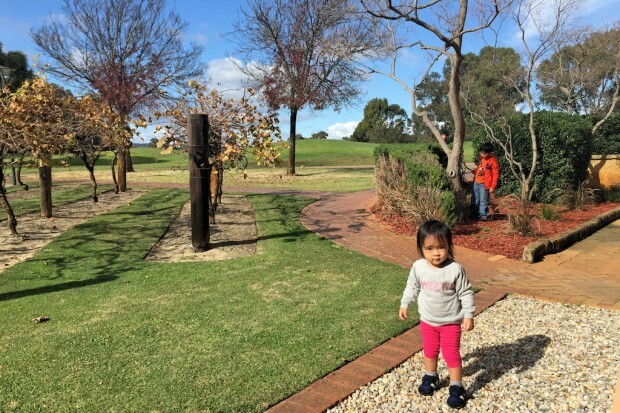 A review for The Vines Resort, a lovely accommodation in Australia’s Swan River region, perfect for a family friendly vacation. Swan River near Perth in Western Australia is the ideal destination for a family vacation. 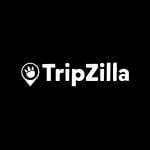 There are many exciting child-friendly attractions in the area, including the Swan Valley Cuddly Animal Farm, Caversham Wildlife Park, Margaret River Chocolate Company, House of Honey and Outback Splash. 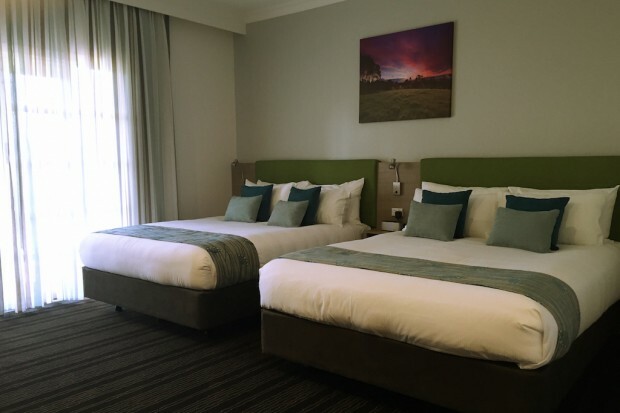 The Vines is a resort that is in a great location to explore the Swan Valley region – even though you might be just as happy to stay in the resort all day with the fantastic amenities available. The kids trying to pet the tame kangaroos! The Vines Resort is a 25 minute drive from the airport, and it was quite easy to find with clear signages along the way. It was quite late, around 10pm, when we arrived at the hotel. 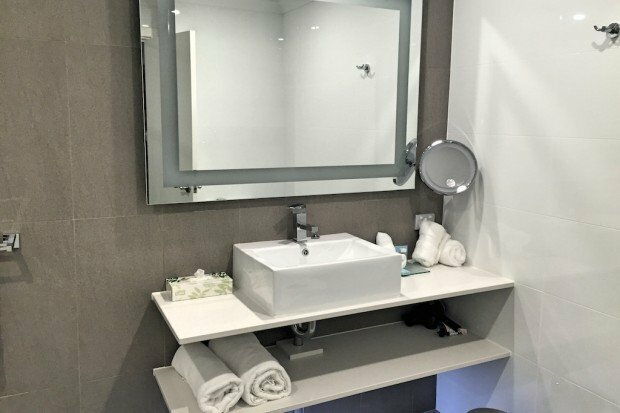 We arrived to a cheerful welcome and found a chic, modern and newly-renovated room waiting for us. Before flying to Australia, I wrote to the hotel to let them know that we would be travelling with two young children and a baby and they had thoughtfully prepared the room to accommodate the kids. Spacious room that can fit two comfortable queen-sized beds. There were two queen-size beds and a playpen in our room. The playpen was nicely set up with fresh sheets and blanket. There were plenty of extra towels and toiletries for the kids in the bathroom. The air-conditioner doubled as a heater unit – great to keep out the winter chill in the night. The blackout curtains were another plus as we could sleep in the next day. There were plenty of toiletries. The bathroom was clean, fresh and bright. There was a rain shower, plenty of hot water and I was pleased to note that the water pressure was also good. Lavazza coffee machine in the room. 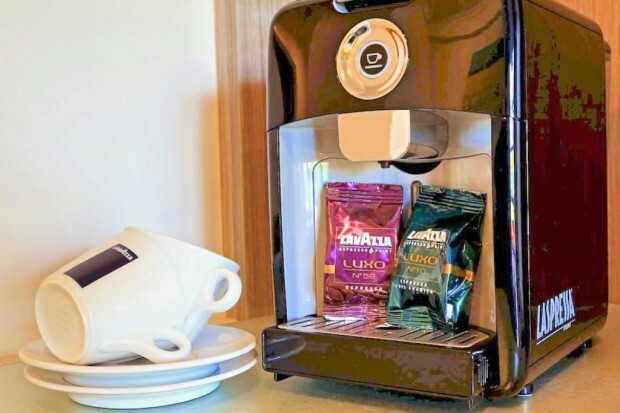 Another nice touch was the Lavazza Coffee machine in the room, for which we were given two pods each day we stayed. Good coffee is a great way to start the day on the right foot! A small pantry with a microwave and vending machine in the block of the hotel that we were staying in also came in handy as I was able to heat up the kids’ milk without having to call anyone for help. Complete with free Wi-Fi and in-house movies, the room we stayed in had everything we needed. 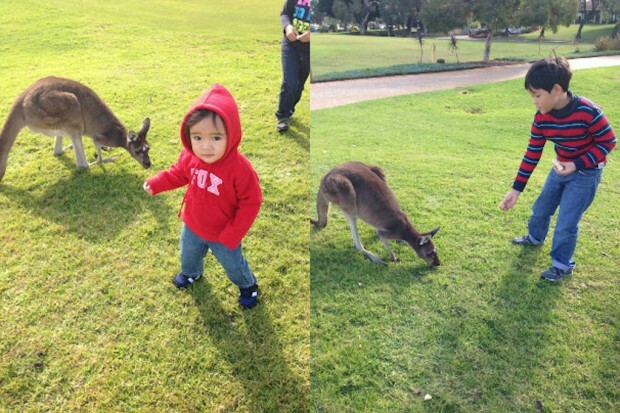 There were so many kangaroos, we couldn’t feed them all. Waking up after a good night's sleep, we opened the door from the ground floor room and stepped out onto the patio, which was the perfect spot to have breakfast. Much to the children’s excitement, we had some company. There were quite a few kangaroos about, and they were eating fruits from the vines which grew nearby. 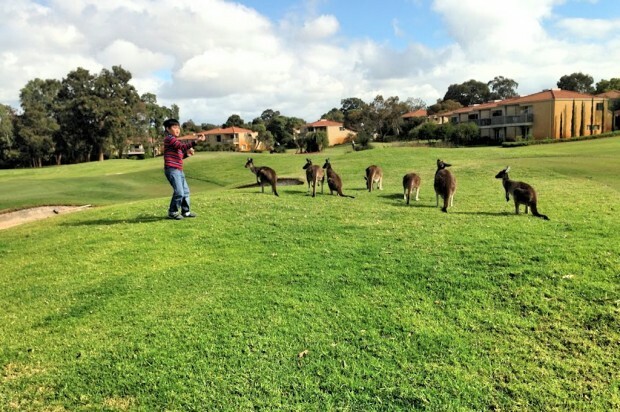 The kangaroos were gentle and clearly very tame – the kids can see the them up close and even touch them, much to their delight. Unusual bird spotted outside from balcony door. Kangaroos were not the only wildlife we saw as we ventured out of our room onto the patio and into the hotel grounds. There was a variety of exotic bird-life on display as well. It was great to be able to open the doors to the outside and let the kids play while I could get on with a few things in the room uninterrupted. Open balcony allows the kids to explore independently while I get ready. The day after our arrival, we took some time to explore the hotel grounds. We could see the golf course from our room and as we headed towards it we found yet more kangaroos. The Vines Resort is one of Australia’s best golf resorts, boasting two 18 hole golf courses in a beautiful setting. 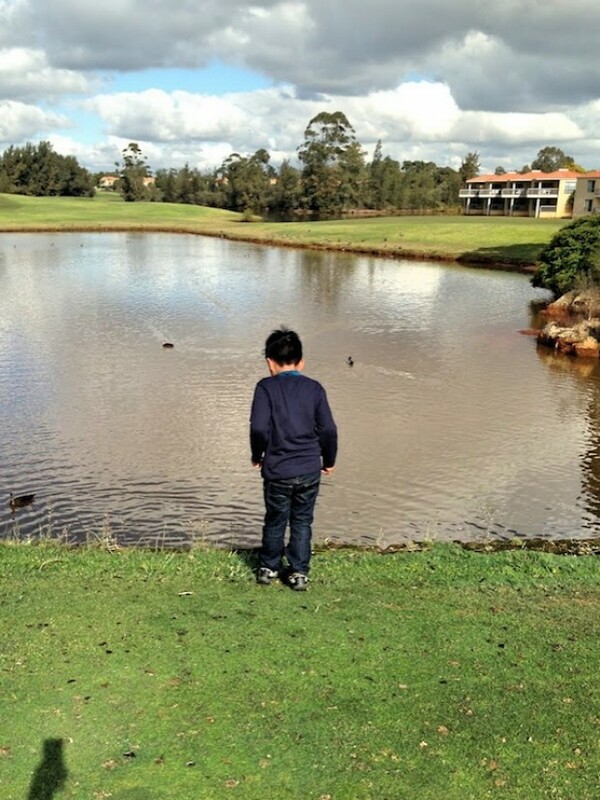 While my family didn’t utilise the golf facilities, the kids did love the pond on the golf course, which was teeming with lots of ducks and fish. Yet again, the staff at the hotel proved friendly, kind and helpful. They gave the kids cups of food to feed the ducks and fish. 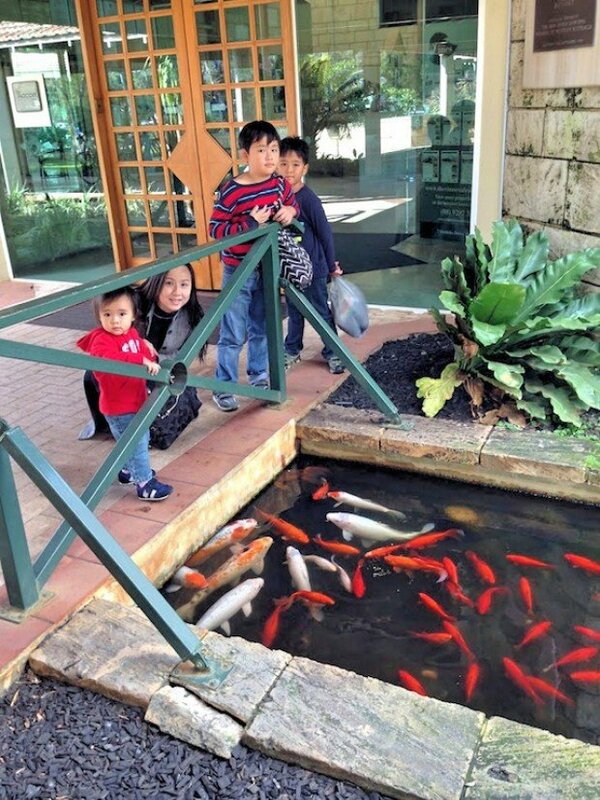 When kids get to feed the animals, that is always a winning formula for a great holiday. Observing the ducks swimming on the lake in the golf course. There was plenty on offer at the hotel that we simply did not have the chance to sample. One of those facilities would be the swimming pools which were, at that time, too cold to swim in. The pools should be great once the weather warms up though. We did not eat in the hotel as we were driving, but we found plenty of places to eat, shop and indulge ourselves within 10 minutes from the resort. There was even a mall nearby with Coles and Woolworths for all our daily needs. The free parking provided just in front of the hotel was a great perk. The hotel's location was great and the lovely grounds with their wildlife made our stay there great fun for the whole family. We had long, exciting days visiting all the local attractions and we had a comfortable room to recharge at night so we would be all revved up for more adventures! 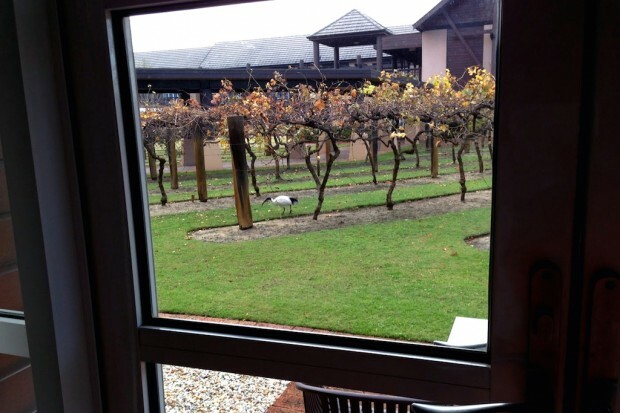 From our breakfasts with the kangaroos to evenings watching the stars in the beautiful night sky with little light pollution, we had a great stay at The Vines and we will be back!